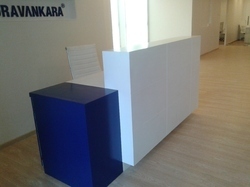 Prominent & Leading Manufacturer from Pune, we offer reception table and reception counter. 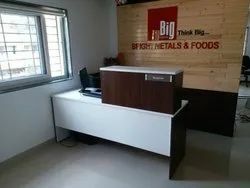 The reception area, one of the most prominent places in business premises, coupled with a variety of shapes and interesting combination of shades and materials are manufactured with precision, that is both functional and a master centerpiece. Our organization is engaged in designing and offering Reception Counter to our valuable clients.